Was „zufälligerweise“ auch den Wünschen eines autoritären Staates / einer Diktatur entspricht. Es gebe aber auch durchaus positive Seiten. „Gerade die Weißhelme haben auch sehr viel Solidarität und Spenden bekommen“, so Brodnig, „soziale Medien können auch eine Möglichkeit sein, internationales Publikum zu bekommen, wo man früher abhängig von Kriegsberichterstattern war“. The founder James Le Mesurier is British ex officer, he stole name Syrian civil defense from real Syrian organization, USA, EU and Turkey sponsors WH with millions of dollars so WH are not independent as they claim, sometimes they carry weapons, sometimes they carry terrorist flag, they operate only in rebel-terrorists held areas despite most of population escaped to pro Assad areas all you can easily find in YouTube. There is many propaganda movies but this one got the Oscar, bravo USA. Yes, as you can check for yourself on the Internet, these are terrorists supporting various Islamic extremist groups. The whole movie is staged and fake. You can find multiple photos of their staged actions, you can find material about US admitting funding them. If you have any doubt just ask yourself how is it possible that of these men has shed a single tear through the entire movie? No mentioning of the US, only a single mention of ISIS, no mention of any other of dozens of groups fighting in Syria. Just Russia, Russia, Russia. I mean, I don’t like Russia, but if you spend even 5 minutes after watching this film researching the Internet, you will quickly find the truth. The funniest is the Wikipedia site, which claims „The organisation has been the target of an alleged disinformation campaign by supporters of Syrian President Bashar al-Assad and Russia“. 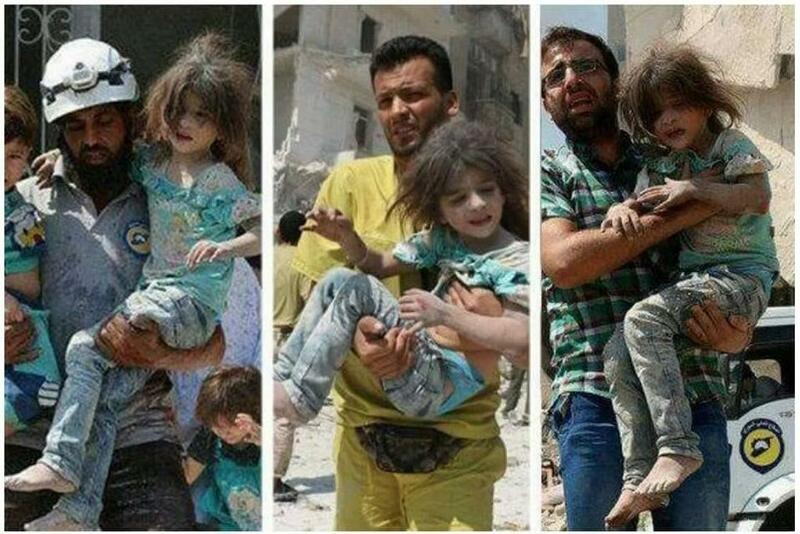 But when you check the photos you clearly see the same children saved multiple times by different men, men who are crippled on camera being perfectly fine on photos when the shooting ends, White Helmets member celebrating with armed terrorist groups holding guns, White Helmets miraculously appearing seconds after executions done by terrorists to collect the bodies and so on. JUST DO YOUR OWN RESEARCH, FIVE MINUTES WILL DO. Terrible propaganda, keep away from it. So propaganda much. The white helmet’s are a PR companies dream (if you are looking to start war that is) they are saving the innocent civilians from the nasty bad guys. But in reality most of it is staged or they are operating in terrorist controled areas, not that there would be anything wrong with that if they where not actual linked to them. Like there friends Jabad fatal AL sham, (i may have spelled there name wrong… they need easier names) they would appear at there beheading and be actively supporting them. This is no Syrian civil defense force this is the result of British funding trying to drum up war support. thankfully it is a failure as it should be. What can I say? Like many others, I first believed that the wh were incredible humanitarian workers. Life savers. Thankfully I decided to dig a little deeper to find out the truth. I hope that the West will wake up instead of continuing its support for terrorism . And the fact that this won an Oscar makes Hollywood look like a joke. You are being played as fools. That is all I have to say. I fought in Iraq and Afghanistan and believe me, this film is nothing more than staged propaganda. The narrative that is being place in front of our eyes these days is reminiscent of when CNN, FOX, and MSNBC were all telling us that Saddam Hussein had weapons of mass destruction. If anyone is curious of the legitimacy of this film and all of the lies being told about Syria today there is plenty of sources out there, don’t just take it from me. DO YOUR OWN HOMEWORK please. Do you people realize that we can google? Should we ignore the fact that White Helmets started out by murdering real rescue workers and paramedics to steal their gear? Or that they have no problems with killing those they „rescued“ once cameras stop rolling? Or participate in beheadings of „infidels“? This is the biggest disgrace of the Oscars of all time, probably. The situation in Syria is much more important than the focus on 3 people training to save lives and mourning about their friends. the entire movie is the team leaving to train somewhere is Turkey and worrying about their friends in Syria, the movie is extremely trying to be popular and begging for your tears. this is not the documentary level i expected of Netflix. wish i had not see it because the situation is far worst in Syria than is presented in the movie. I hope better movies will come in the future, I don’t think this movie deserve to be nominated, i wish all the luck to the people in the film and peace to this area. 2 years ago I saw a Norwegian movie called Trollhunter. It was filmed in the documentary style, claiming it was based to real events. After seeing The White Helmets, I am more confident that there, indeed, lives 50-feet tall trolls in Norwegian forest that I am about this film being honest. There are a quite a few problems I had with this film. First one being that they blame Russia. Like really? It is not the 50’s anymore, you cannot blame Russia for everything in a documentary even if media does blame them. Why not blame ISIS or Islam? No, it is once again the Russians who are the baddies and there is no need to mention a single word about anyone else. This is a clear agenda they just had to insert here. Sponsored content? Second thing I will complain about is the censorship. Having seen a lot of real footage from Syria in forms of Daesh/ISIS propaganda and by visiting subs like watchpeopledie and gore, this doesn’t give an accurate picture of the horrors that happen in there. I guess this is the nro one reason why the „documentary“ doesn’t seem anything like a doc to me. They are just speeding to places where something has exploded and then they pick people up from some dust. Some times there is a bit blood or something red. Third thing is that this reminds me awfully lot about those faked pictures about people saving little children. Like this girl who was saved in total of 5 times in the same day by 5 different man, https://i.imgur.com/gzBcKoV.jpg The imgur url key is gzBcKoV in case IMDb censors the link. It was used widely in media and it has gone viral on about every site on the internet. Or at least one of these pictures. It being a fake is not nearly as well known. Maybe these guys are real. Maybe they are honest, good people who want to help and at the same time do believe that Russia is evil. The constant lies I have witnessed in media and the real gory footage I have personally seen do leave me in doubt. Even if everything in this was true, it is not convincing piece of cinema nor is it good „documentary“. Saw this after it won the Oscar, didn’t like it as much as I thought I would. It was too manipulative: shot after shot of them rescuing barely injured kids, the emotional music, etc. A good documentary should show it all without editing or music to manipulate the viewer, let the events and people involved guide the story as it happens. This seemed too infused with Western sentimentality, too shallow to really explore the horrific suffering and complexities of the Syrian conflict. A number of prominent conservatives are also convinced the group is linked to Al-Nusra front. Wouldn’t be surprised if that were the case, though it doesn’t take away from the heroics of the men themselves. The most disgusting movie in the history of cinema. The so-called “ White Helmets“ are a bunch of Islamic terrorists. They are a group from Al-Qaeda. For those who don’t believe you can check here: https://www.youtube.com/watch?v=Xn5iQVh7H9k and here: https://www.youtube.com/watch?v=tseqwNIXhDQ The story behind your entire movie is fake. Shame on you.. You are glorifying a bunch of maniacs. No matter how you try.. Syria will defeat the Islamic terrorism. Long live the Syrian Arab Army. So, IMDb decided to remove inconvenient reviews? I reviewed this „mockumentary“ some time ago and i decided to read it…what was my surprise when i haven’t found it. IMDb apparently adopted the ways of other „democratic“ media and censors opinions that are uncomfortable. White Helmets is part of terrorist organization financed by USA and the Oscar for this movie is a disgrace…or not…Oscars are either way just a funny snobbish local mini-event. Is this just another American propaganda? American Academy awarded this movie with golden statue. That tells a lot more about Hollywood than the film itself. War is very complex „thing“, especially the war in Syria (where we got lot of sides fighting over the shoulders of Syrian people, including them self, of course), but this documentary make it so simple with black and white approach, typical for propaganda films. So, on one side we got good boys: The brave white helmets, and on the other side we got a devil himself: Al-Assad, evil Russians and… I almost forgot, the ISIS. So untrue. 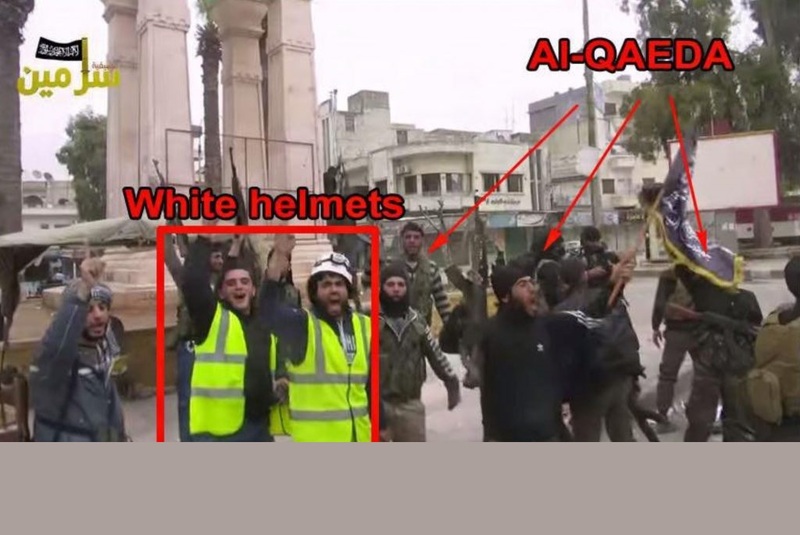 The next thing I „love“ so much is the story told just by a group of guys (type at your browser: white helmets fakes). Where is the story of evil side? Where is the story of Syrian people? You just can’t make a war movie from PERSONAL point of view. It’s just wrong. One more „good thing“ is cheep manipulation of viewer’s emotions with a poor little children, a lot of tears and pathetic music. Is this whole movie fake? Judge yourself. This whole documentary is based on a lie. The media controls how you view things. How much the white helmets help is not actually known. The White Helmets are the people that stage gas attacks for the CIA. Chemicals that can kill by coming into contact with your skin did not effect the white helmets at all. This documentary is disgraceful. Man sieht, dass es der durchschnittliche IMDB-User durchaus schafft, die ihm vorgelegte Propaganda durchschauen und entlarfen zu können. Ganz im Gegensatz zu Frau Brodnig. Vielleicht sollten dann aber auch gleich konsequenterweise die nächsten Bücher über Brodnigs Lieblingsthemen, Hass und Zensur im Netz, von Random-IMDB-Usern geschrieben werden, da diese an der Wahrheit deutlich näher dran zu sein scheinen. Die Gesamt-Bewertung von 7,6 ist genauso absurd wie die Tatsache, dass der Film von IMDB als Comedy klassifiziert wird. Bestenfalls handelt es sich hier um eine Schmierenkomödie, die aber von vielen schlauen Menschen — Frau Brodnig gehört leider nicht dazu — genau als solches erkannt wird. Die Absurdität legt sich aber wieder etwas, sobald man erfährt, dass IMDB zu Amazon von Milliardär Jeff Bezos gehört. Die White Helmets posieren für ein Standbild bei einer ihren üblichen Fakereien, jemand macht ein Video davon, das Video wird geleakt, und um sich vor Fake-Vorwürfen zu schützen behauptet man, man habe bei der Mannequin-Challenge mitgemacht. Die White Helmets sind wirklich so blöd und machen absichtlich bei der Mannequin-Challenge mit. Obwohl Frau Brodnig wohl von Punkt 2 ausgehen würde, kann man sich als kritischer Geist bei den White Helmets so gar nicht sicher sein. Syria and the « White Helmets »: Fake Humanitarian Entity Supported by US-NATO. A Politically Motivated Hoax? Er [der Film] zeigt den Krieg in Syrien aus der Perspektive eines ausländischen Journalisten, der illegal in das Land eingereist ist und alles tut, um dramatisch vom Krieg berichten zu können. Um dies zu schaffen, hilft er unter anderem Terroristen bei der Herstellung von Chemikalien und verzerrt die Wahrheit, um sein Ziel zu erreichen. In der Original-Filmbeschreibung heißt es, der Journalist würde den Terroristen dabei helfen, einen Vorfall mit chemischen Materialien zu fälschen, während es in der Mimikama-Übersetzung heißt, der Journalist würde den Terroristen bei der Herstellung von Chemikalien helfen. Und ja, es ist genau diese Art von „zufälliger“ Spin, für den sich Mimikama tatsächlich Geld erbetteln traut. Und wenn einem mal wieder ein Interview mit der „Expertin“ Ingrid Brodnig unterkommt, dann kann dieses vielleicht ab jetzt besser eingeschätzt sowie die leeren Worthülsen zerpflückt werden. Und wenn einem der Film „Revolution Man“ zufällig irgendwo begegnet, sollte man ihn unter keinen Umständen verpassen.